The Armistice, signed on July 27, 1953, ended the bloodiest war in Korean history. This agreement defined the inter-Korean border and became the cornerstone for all relations between the North and the South. As Seoul and Pyongyang promised to replace this agreement with a new peace treaty in April, it seems fitting, on the 65th anniversary of its signing, to take a look at its history. 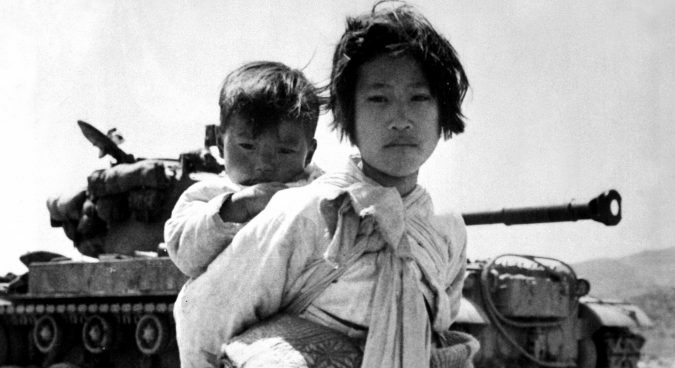 The most important year of the Korean war was undoubtedly 1950, as both sides had a chance to win the war. Less than two months after the invasion, the DPRK army controlled most of the Korean peninsula, as the ROK army was defending what was known as Pusan perimeter – a small part of the land in the South-East. In autumn, the U.S.-led allied counteroffensive devastated the North Korean army and a broken Kim Il Sung was fantasizing to his secretary how after the inevitable defeat he would raise an army of partisans in Korea to launch a counteroffensive. Yet, instead of imaginary partisans, he received a very real Chinese army which saved the DPRK from the defeat. That counteroffensive returned northern Korea to the control of Kim Il Sung – and Seoul fell again on January 4. The continuous bombing of the North by the United States Air Force managed to reverse the situation again, and Seoul was retaken by the allied army. By that time, most of the politicians linked to the war understood that it was over. A notable exception was General of the Army Douglas MacArthur, who suggested the use of atomic weapons against both the PRC and the DPRK (likely triggering Kim Il Sung’s interest in getting a bomb for himself), but he was dismissed from his position by President Truman and peace talks began. The first to suggest the talks was the Soviet Ambassador to the United Nations Yakov Malik. In his speech, which, for some reason, he read in English, Malik proposed that negotiations begin. The talks started in late July – between Vice Admiral Charles Turner Joy of the UN and General Nam Il of the DPRK. Ironically, Nam Il was also from the USSR – having no prior military education, he was suddenly appointed Chief of Staff during the war. Initially, the talks were held in Kaesong – a formerly South Korean city now under DPRK control. Interestingly enough, the points of the agreement were already set in 1951. Both sides understood that neither the ROK nor the DPRK was going to disappear and that two Korean states would continue to exist. They also accepted the idea of a demilitarised zone between the two nations. Yet, some points were much less open to negotiations. First of all, there was the issue of the border. Would it be reversed to the pre-war 38th parallel? Or will it follow the current frontline? The Communist side insisted on the former and the UN on the latter. Second, what would happen with prisoners of war? The UN, naturally, suggested that people who want to go will be given an opportunity to return and those who would choose to stay, will stay. The Communist side, however, insisted that everyone should be deported. This suggestion was unacceptable to the Americans – and the talks broke down. At the next stage, which started on October 25, the talks were held in the village of Nolmulli, renamed to Panmunjom specifically for these talks. The old name could not be properly reflected in Chinese characters, and the renaming was done for China’s convenience. The name, meaning “the Wooden Door Point” had been in unofficial use since the Imjin War of the 16th century and became quite a fitting name for a place which became the gateway between the Koreas. The issue of the new borderline was soon resolved in the UN’s favor, and the UN side also managed to stop the Communist proposal for the withdrawal of foreign armies from Korea being included in the Armistice. But the questions of prisoners prolonged the talks until 1953. It seems that Moscow (Stalin did not want peace) and South Korea (which still had hopes that the war may be won and unification be achieved) were sabotaging the talks. Everything started to progress much smoother when Stalin died on March 5, 1953. The question of prisoners was finally settled when Seoul unilaterally released all of those who did not want to return to the Communist camp. 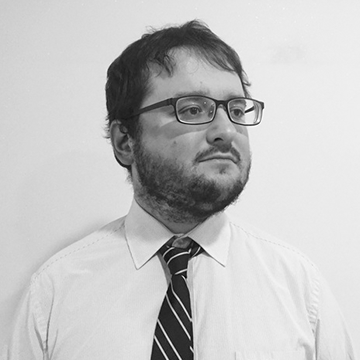 This was done for humanitarian and political reasons – but the decision nearly caused another breakdown of the talks, which was what South Korean authorities hoped for. Ultimately, during these talks, the UN side won all the contested points. The border was to be defined by the frontline, the U.S. Army could continue to stay in the South, and the prisoners not willing to be deported were given the opportunity to stay. The final text of Agreement was composed in English, Korean and Chinese, and some of its provisions operate until the present day. All movement crossing the Military Demarcation Line (MDL) requires both UN and DPRK authorization, making it the de facto national border. The Neutral Nations Commission of Poland, Czechoslovakia, Sweden, and Switzerland was established, although this organization has seen its influence wane over the years. As the conflict was coming to an end, the DPRK elite dedicated its attention to matters of peace – even if the soldiers were still dying at the frontlines. As of June 15, Pyongyang was already preparing a declaration on the signing of the armistice, to be approved by Moscow and later read by Kim Il Sung. The building where the armistice was to be signed was already being built – since Kim decided it would be unacceptable to allow the Americans to do it. The final question to be decided was on who was going to sign the treaty. Like many other things with this war, it was the USSR which making the decision. 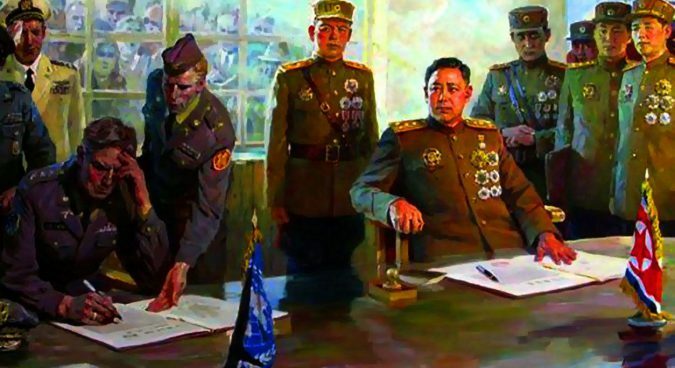 On June 16, Moscow learned that General Clark was going to be at the signing ceremony and instructed Kim Il Sung to go as well. Kim said he was going to take Minister of National Defence Choe Yong Gon with him – in case Clark didn’t sign the document himself, Vice-Marshal Choe would sign it instead of Kim. However, there had been concerns about a possible attack on Kim during the ceremony by the South Koreans and the Communist side decided that should Kim go, they would demand that all South Korean personnel be excluded from the ceremony. Clark refused, and on July 25 Moscow reconsidered: Kim and Peng were told not to go. Initially, they decided to send Choe Yong Gon, but at the very final moment, the scheme was altered again. Ultimately, it was decided that the agreement would be signed by representatives of the UN and the DPRK and then be delivered to Kim Il Sung, Peng Dehuai and Mark Wayne Clark for signatures. North Korea’s representative was General Nam Il and the representative of the UN was U.S. Lieutenant General William Kelly Harrison, Jr. The ceremony was held in the part of Panmunjom which, after that evening, was to fall under DPRK control. The hall was built specifically for this occasion. Representatives of all sixteen UN nations – from the U.S. and Britain to Ethiopia and Luxembourg – were present. 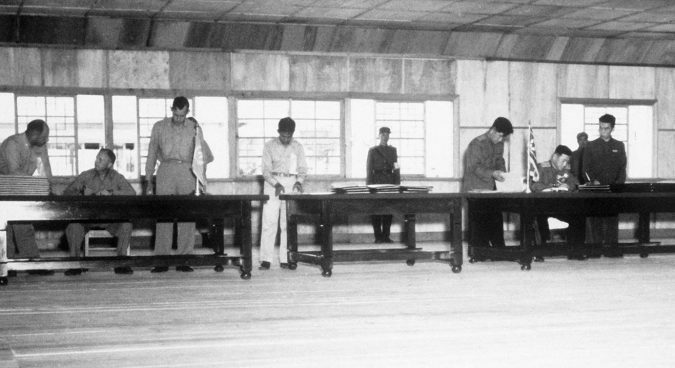 Flags of the DPRK and the UN could be seen on the tables – this symbolism is used in Panmunjom until the present day. There were nine copies to sign – three in English, three in Korean, and three in Chinese. It should be stressed that Generals Harrison and Clark signed the agreement as representatives of the United Nations, not the United States. 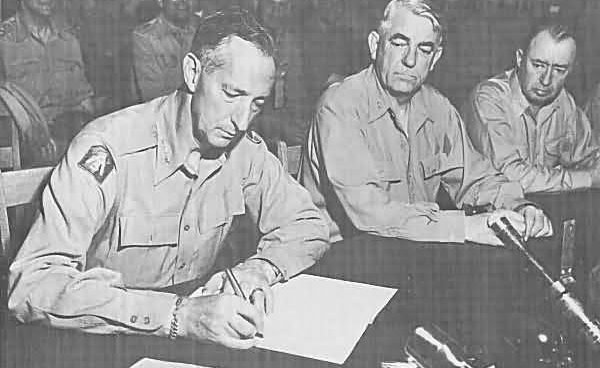 The confusion probably arises from the fact that there were no separate signatures by the UN coalition – unlike, for example, at the surrender of Japanese Empire, where General MacArthur signed the document for the United Nations and Admiral Nimitz – for the United States of America. Colonel James Murray passed the documents to General Harrison and the latter signed the documents at 1001. Nam Il soon joined. Harrison finished signing at 1010, and Nam Il took one more minute. At 1011, it was done. The atmosphere was gloomy, as artillery fire could be heard, reminding everyone that the War was still going on – although it was its last day. Nam Il rose from the table looked at his watch and quickly walked out of the building without looking at the UN table. General Harrison looked less depressed, but when he was asked for a comment by the press, he said: “You know I don’t do that.” After the mandatory smile, pictures, and saluting the honor guard, Harrison took a helicopter to Munsan at 1027. 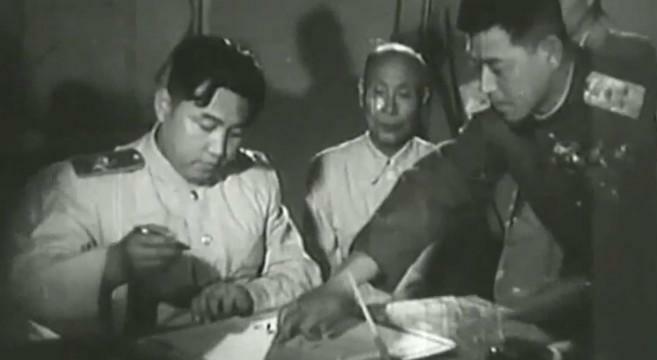 The documents were then delivered to Pyongyang to be signed by Peng Dehuai – commander of Chinese People’s Volunteers. Kim Il Sung, dressed in his Marshal’s uniform, signed the documents in presence of Nam Il, Kim Tu Bong (chairman of the Presidium of the Supreme People’s Assembly) and Pak Chong Ae (Chairwoman of the Central Committee of the Union of Democratic Women). After the latter two were purged, they were removed from North Korean photos of the event. The copies were delivered to General Clark, who flew to Korea on July 26 to sign them. He signed them in Munsan in the presence of other high-ranking officers: General Otto Paul Weyland, head of the Far East Air Forces, Lieutenant Samuel Egbert Anderson of the Fifth Air Force, General Maxwell Davenport Taylor, the commander of the Eighth Army, Vice Admiral Robert Pearce Briscoe, commander of the naval forces in the Far East, and Vice Admiral Joseph James Clark, commander of the Seventh Fleet. On the South Korean side, Major General Choe Tok-sin was present at the ceremony. South Korea was boycotting it, so he did not put his signature. Choe’s career was a most unusual one. A foreign minister in the military junta which ruled the South in 1961-63, he eventually moved to the United States and in 1986, ended up in North Korea with his wife. 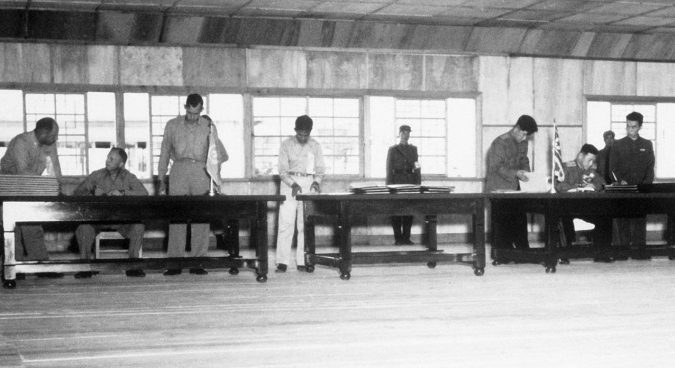 The War lasted for half a day after the signing, until 2200 Korean time, when the cessation of hostilities clause of the Armistice came into force. The Korean War was finally over and the new inter-Korean border became permanent. It was somewhat different from the original 38th parallel. The Ongjin peninsula that Soviet Ambassador Terentiy Shtykov wanted to annex in 1949 finally became part of the North, as did the city of Kaesong. On the other hand, some of the land to the east – including the town of Sokcho and Kim Il Sung’s own villa at Hwajinpo became ROK territory. And yet, the change was so small. Millions died in the war, many were wounded, so many factories, roads and houses destroyed – all for almost nothing. The Armistice was a bitter event, as all sides understood that the war had ended without victory. Yet, they tried to milk the best out of this situation. The United States focused on the fact that “the enemy lost more territory than it gained” – this was cheerfully announced in official broadcasts after the War. South Korea was perhaps the only side not to cheer, as unification had not been achieved and the division of the country had every chance of lasting for decades. The Armistice prescribed three days period to withdraw all the armed forces to their respective parts of the country. This period expired on July 30. Unification had not been achieved and the division of the country had every chance of lasting for decades. On the very next day, on July 31, the ROK received the first person to defect from the DPRK after the war – captain An Chang-sik (안창식) crossed the newly-established MDL to the South. He became the first of tens of thousands of North Koreans to flee to the South, and after living for 49 years as a South Korean citizen, he died in 2002. Within ten days of the Agreement being signed, all islands of the opposing side were to be de-occupied. 48 days after the signing ceremony, i.e. by September 13, all military hazards were to be removed from the DMZ. The Armistice also prescribed a repatriation of prisoners of war within 60 days. 82,493 North Korean POWs and 13,457 South Korean POWs were repatriated. 88 chose to go to a third country. Many of those who were imprisoned by the North were never actually returned home. The South Korean side listed about 82,000 people as missing in action. They continued to live in the North, usually treated as second-class citizens. Some of them managed to flee the country in the 1990s when this problem became prominent. Since 1998, Seoul has managed to secure the return of about 20 of these people through official channels as well. Both Koreas started to adjust to the new border. 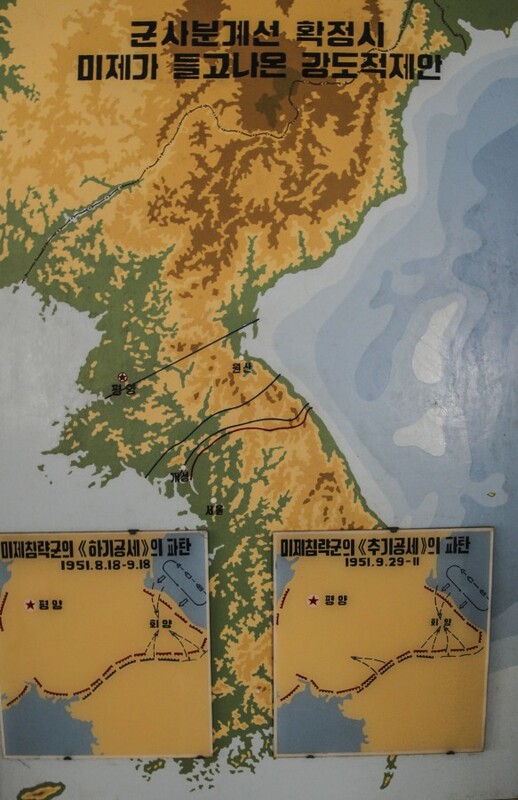 The newly acquired parts of territory were soon fully integrated into North and South Korea. The ROK briefly held the new territory under direct military rule, before integrating it in November 1954 – implementing a plan Seoul had for the entire Korean peninsula. In North Korea, it took them longer, but it seems that by roughly the 1960s Kaesong was considered as North Korean as Pyongyang. Interestingly, the fact that these small parts of territory used to belong to a different Korea is well remembered by its residents – quite fascinating when you think that the division by the 38 parallel lasted only for five years and the new border has existed for 65. It shows that should the unification of Korea ever come, it may easily take even more time to truly create one country from the two. The Neutral Nations Supervisory Commission soon became a powerless organization – since it had no means to enforce its decisions. By the end of the Cold War, North Korea nullified the mandates of Poland and Czechoslovakia and ceased to recognize the commission. According to the agreement, they were to be led by a general, and in case of Switzerland, this rule was often fulfilled in a highly unusual way: by giving a professional diplomat a two-star rank and sending him to work in Korea. The Swiss and the Swedes duly monitor numerous violations of the Agreement by both sides. Finally, the DPRK began to present the Agreement as its major diplomatic victory – and history had to be adjusted. Pyongyang started to claim that the United States wanted the MDL to pass to the north of what was ultimately agreed, and the pictures of the Armistice, which, instead of actual photos, are used in the North, showed a content North Korean delegation and depressed Americans. There have been a lot of talks of the replacement of the Armistice agreement with a “permanent peace treaty”: most recently in April 2018 when Seoul and Pyongyang committed to sign one in 2018. This does bring up a lot of questions. Seoul was never a party of the Armistice to begin with, and the Chinese Volunteers’ Army ceased to exist after it was withdrawn from the North in 1958. More importantly, it is quite unclear why any new agreement is necessary if the Armistice has successfully served its purpose, preventing the resurgence of war in Korea, for 65 years. Should it nevertheless be signed, it may include many symbolic gestures and statements about non-aggression and peace – whether they will stick, of course, will remain to be seen.